Microsoft Xbox One Summer Update is now rolling out to all. 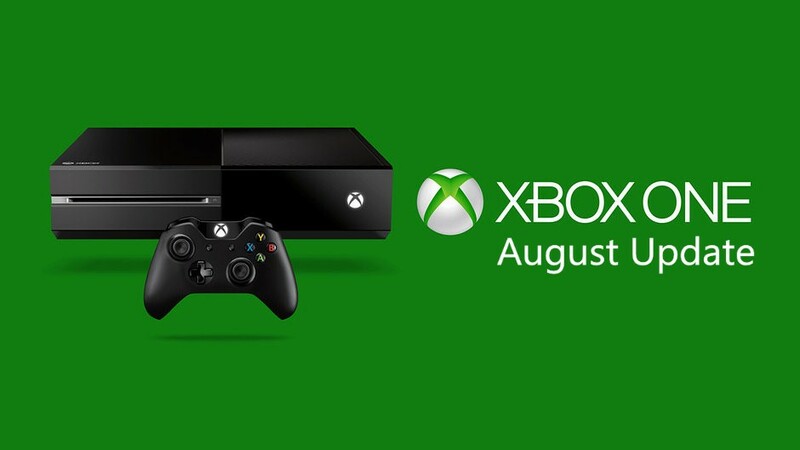 XBox One August Update includes many new features like Xbox HDR, background music, Cortana and much more. Groove app background music support is in Preview, it will soon release to all along with Other apps. 10.00am PDT release of the Xbox One Summer Update – Preview Members thank you for all the great feedback! You all rock, lets play games! Xbox update is rolling out to all. Enabling great features: Xbox One S 4K, HDR, new Collection, Cortana, language region independence&more. Xbox One Preview Members already have the latest build 1608.160725-1822. New update build is rolling out to GA. Know more what’s new in Xbox One Summer Update. On August 2, Microsoft will also release Windows 10 Anniversary Update. Cortana on Xbox One available in the U.S. and U.K.
Users can now use Cortana. Once Cortana is activated, you can use voice commands via your headset! No more need for a Kinect sensor, just say “Hey Cortana” into your headset. Users can now say “Hey Cortana, let’s play Halo” and Cortana will understand without having to hear the exact title of the game. Users can now say “Hey Cortana, what time is it?” and Cortana will tell you! Users can say “Hey Cortana, what’s the weather like in Redmond?” or “Hey Cortana, will I need a jacket today?” and get a weather report, sports scores, flight information, and more! Users can now say “Hey Cortana, did the Seattle Mariners win yesterday?” and Cortana will provide you with the results! Users can now say “Hey Cortana, find funny movies with Matt Damon,” and Cortana will understand and provide movies that meet your criteria. The new Game Collection now uses all of the available screen real estate to show you your games, offering multiple rows of games instead of just 2! Just go to My games & apps and change the tile size to display as many as 6 titles per row via the Small tiles setting. The New Game Collection now includes sections for installed games, installed apps, and games & apps that you own that are Ready to install. The Xbox One Queue now gives you detailed information about your download. This information appears in the queue, but also on the My games & apps navigation bar while a download is in progress. You can even view your download progress directly on your dashboard in the box under My games & apps. Users can now sort their collection by Title name (A-Z), last used, most recently updated, and size. If you have a large game collection, you can also group by letter which creates a grouped alphabetized list which you can collapse just down to the alphabet by clicking any letter then jump to a specific letter to more quickly find the game you are looking for. In My games & apps, users can now change the size of the tiles, so you can see more games on-screen at once. Three options are available: Large tiles, Medium tiles and Small tiles and you can have separate sizes set for your Games, Apps and Ready to Install lists. With Language Region Independence, you’ll be able to choose English or any other supported language for your console experience regardless of your console’s region! Go to Settings > All Settings > System > Language & Location to choose! With the newly redesigned Xbox store experience, prices are now visible while browsing! Users can also see ratings, and if a game is on sale, it will show you both the retail and sale price. In the new Xbox Store, only users who purchase or pre-order a game can rate the game! This will help give you a better view into the experience of users who have played the game. Xbox Play Anywhere ensures that when you purchase an Xbox Play Anywhere (XPA) game for your Xbox One or Windows 10, you’ll be able to play on either platform, and your achievements and saves will be shared across the platforms! Now on the Xbox One, connect your Facebook account to your Xbox Live account to find your Xbox playing Facebook Friends. You only need to connect your account once via Facebook Login; if you’ve already gone through the steps on the Xbox app for Windows 10, iOS or Android, then you’re all set! Otherwise, now you have the option to log into your Facebook account from your Xbox One, making it easier to find more people to play games and have fun with. Go to Settings > Account > Linked social accounts > Link Facebook account. Note: If you’ve already linked your account in the Xbox App on Windows 10, this will already be set up! You Now Have Better Control Over What Gets Shared to Your Activity Feed! Users can now choose what gets shared automatically in the Activity feed! Go to Settings > Preferences > Activity Feed to choose what you want to automatically share. The Xbox App has also received a major update! The latest version of the Xbox App for Windows 10 is 19.19.28029.0. You can check the latest version of your app by opening the App on your Windows 10 device, then going to Settings > General > Version to check. These new updates include the ability to see the top Windows 10 PC games on Xbox Live, 60 fps game clip recording, even more, Windows Game Bar full-screen support, and more! The Xbox App on Windows 10 Is Now Also on iOS and Android! The following items will remain marked as “In Progress” and will move to a status of “Complete” next week as the first background music apps ship and the Xbox One S console becomes available to our customers. The Xbox One Summer Update brings the ability to enable Background Music on your console as new apps are released to support this feature. Pandora will be the first app to support this feature in the coming days, followed by Groove Music and other partners adding this capability when they update their apps to be UWP Applications. Xbox One S when the 2TB launch edition becomes available on August 2 for $399. The update will also be ready for the 1TB and 500GB Xbox One S models later in the month, starting at $299. The Xbox One S will support 4K Ultra-HD Blu-ray™ and Streaming. With four times the resolution of standard HD, 4K Ultra HD delivers the clearest, most realistic video possible. Stream 4k content on Netflix and Amazon Video and watch Ultra HD Blu-ray movies in stunning visual fidelity with High Dynamic Range. For more information, please visit the Xbox One S page on xbox.com.